Sweet tart shell coated with dark chocolate pate a glacer. 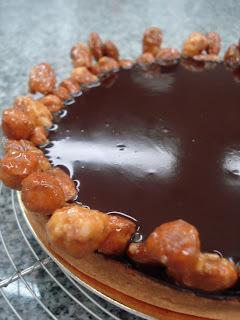 The coating makes the tart shell crispier. Layered with Chocolate Praline cream. 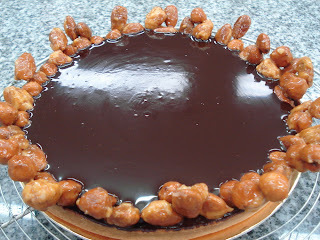 Glazed with melted chocolate and decorated with caramelized almonds and hazel nuts. 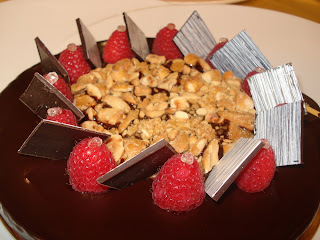 A modern version of Chocolate Praline Tart. Filled with ganache. The tart was coated with chocolate glaze.